Howard Moody works in many different styles of music as composer, conductor and keyboard player. His compositions include seven works for London Symphony Orchestra, two operas for La Monnaie and works for Scottish Chamber Orchestra, Cultural Olympiad, La Folia, Ageas Salisbury International Arts Festival, English National Opera, Jack de Johnette, Paco Peña, The Anvil, Southern Cathedrals Festival. As a conductor he has worked with many of the leading groups throughout the UK and Europe including London Symphony Orchestra, Scottish Chamber Orchestra, Icelandic Opera, La Monnaie, Wroclaw Philharmonic, Orchestra delle Toscana, Opera Factory, Sarum Orchestra, Netherlands Radio Chorus, Schola Cantorum of Oxford and Ageas Salisbury Festival Chorus. He is artistic director of La Folia, a diverse group of musicians and other artists that commission and devise new work. As a keyboard player Howard crosses the worlds of both classical and improvised music, recording for ECM, Chandos, SDG, Guild and BBC and is a principal keyboard player of the English Baroque Soloists and the Orchestra of St Johns. Collaborations have included artists as diverse as David Watkin, Ken Aiso, Matthew Barley, Mark Padmore, David Freeman, Ian McMillan, Marianne Faithfull, Marc Almond and Sir John Eliot Gardiner. As an improviser he has worked extensively with the legendary saxophone player John Surman, playing at many of the leading jazz festivals. 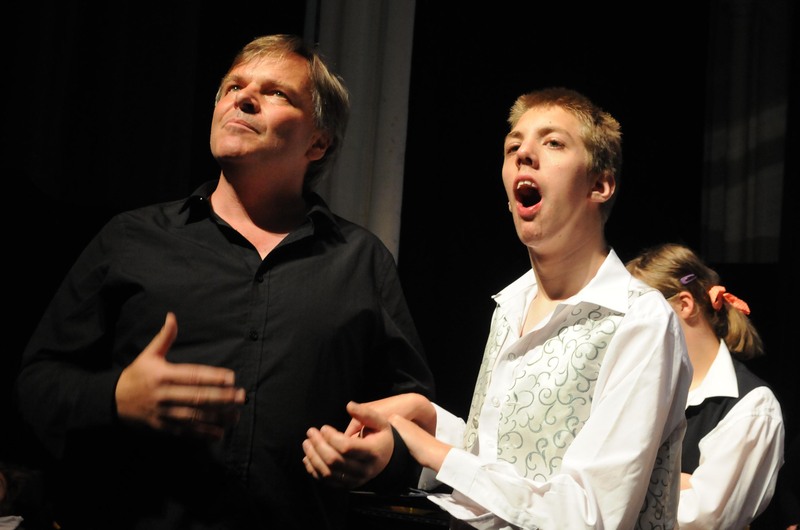 A special interest in creative projects which develop young people’s imaginative ideas into dramatic, instrumental and vocal works involves Howard as a composer and animateur for La Folia, Theatre Royal Norwich, Chichester Festival Theatre, The Anvil, Glyndebourne, Scottish Chamber Orchestra and London Symphony Orchestra where he is artistic director of the LSO On Track Next Generations project. For La Folia, Howard is especially committed to finding innovative ways of bringing live music making of the highest calibre to people who may otherwise not have the opportunity to experience it.